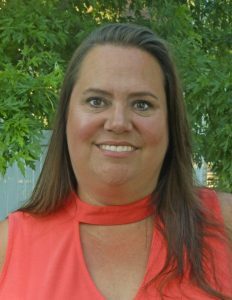 The Southwest Minnesota Arts Council (SMAC) Board of Directors is pleased to announce that they have selected Nicole DeBoer to serve as its next executive director effective July 1, 2017. Nicole DeBoer brings over 25 years of leadership and creative management experience, coupled with a passion for growing communities through the arts, to her new role as Executive Director at Southwest Minnesota Arts Council. With 7+ years as the SMAC Grants Program Assistant, you have likely met Nicole at a workshop or talked to her by phone about potential art projects. Prior to SMAC, she was Creative Director for The Schwan Food Company leading corporate marketing initiatives from an art perspective. In her spare time, Nicole has been involved in the arts as a visual artist, graphic designer, volunteer and supporter. Nicole is excited to continue upholding the mission of SMAC, enhancing life in our region by supporting artists, arts organizations and anyone else who wants to improve their community through the arts.